Occupational Therapy May Be Important to Your Recovery | Hupy and Abraham, S.C. It can be incredibly frustrating to have an injury that prevents you from doing the daily activities that you once did without much thought. Whether you suffer a broken bone, a brain injury, a spinal cord injury—or any other type of injury—your life has been significantly changed. Your goal is to regain as much independence as possible so that you can do the things that you did before the accident left you injured. With that goal in mind, you are getting medical care to help you heal, to prevent your injury from worsening, and to manage your pain. 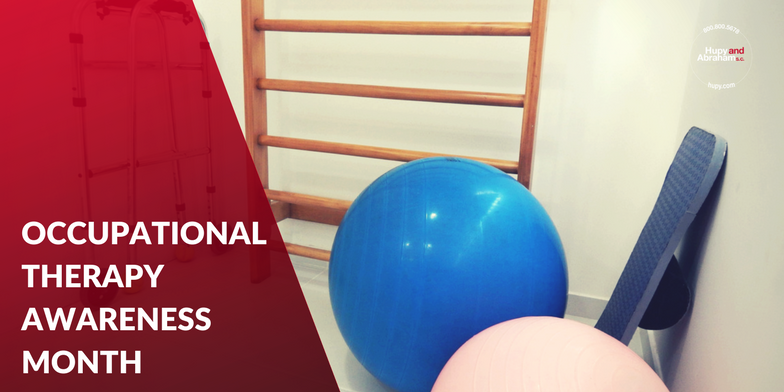 You may also be participating in physical therapy to strengthen the parts of your body that were hurt or psychological therapy to deal with the emotional trauma of your accident injuries. An individualized evaluation to identify the person’s goals. Customized interventions that are designed to help the person perform the activities of daily living identified in his or her personal goals. An outcome evaluation, prior to discharge, to be sure that the person’s goals are being met or to make changes to the intervention plan. If you are receiving occupational therapy because of an accident injury, then the cost of occupational therapy services should be included in your legal recovery. This is a great time to help others understand what occupational therapy is all about so that they can decide whether to pursue occupational therapy if they’ve been hurt in an accident. Accordingly, we encourage you to take this time to learn more about occupational therapy and to share what you learn with others in person and on social media. This may be just the information that someone else is looking for to help them recover from serious accident injuries.